The former Tullis Russell Paper Mill site between Glenrothes and Markinch is to be transformed into a residential development, providing up to 850 new homes, including detached, semi-detached, flats, terraced homes and a Care Village with retirement flats and care home rooms for elderly residents. The 52 hectare site also includes numerous commercial, retail and light industry buildings, offering local employment opportunities as well as an extension to the Riverside Park, connecting the site to Glenrothes town centre. 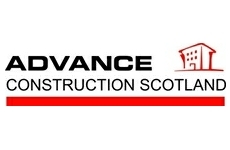 Working with Advance Construction (GD) Ltd, planning and design consultant Barton Willmore have developed the plans, providing town planning, masterplanning, landscape, environmental impact assessment and socio-economic assessment services. On completion, the development will achieve carbon dioxide emissions reductions of at least 21% for dwellings and 43% for non-domestic buildings, when compared to the 2010 Building Standards. At least 15% of these carbon dioxide emission savings will be achieved through the use of low and zero carbon generating technologies (LZCGT's). Carbon Futures were appointed to support the Planning Permission in Principle (PPP) application, addressing key sustainability aspects of Fife Council's Local Development Plan (FIFEplan) and Scottish Environment Protection Agency (SEPA). Our first objective was to assess the viability of connecting to the proposed Glenrothes district heating network, which is planned to operate in close proximity to the development. This preliminary exercise considered the development's linear heat density, a calculation process used in other successful schemes across Scandinavia and the UK to establish how viable a district heating network is during early project stages. The second part of our remit was to demonstrate how the entire development will meet the current carbon dioxide emissions reduction targets within the Scottish Building Standards and ensure that 15% of these savings were to be achieved through the use of LZCGT's. To address the FIFEplan and SEPA requirements, Carbon Futures prepared an extensive report, including an Energy Statement, district heating network appraisal and LZCGT feasibility study.